BioFlora® utilizes an exclusive combination of algae and micronutrients tailored to reduce the deficiencies present in most alfalfa crops in our new product. Our specialized Alfalfa Blend, uses a proprietary mix of algae species decreases sodic stress on alfalfa through enzymatic reactions that convert sodium salts into a soluble form. Algae also contain natural auxins which improve root vigor and development, specifically of the secondary roots and root hairs. Algae also work to stimulate cell enlargement and new leaf growth – therefore increasing RFV, CP, and TDN. The addition of BioFlora’s unique phosphorous and potassium micronutrients help restore these minerals in all soil types, even those with high pH levels. BioFlora’s proprietary manganese formulation restores manganese in high pH soils, or soils with rapidly changing moisture. This nutrient helps increase RFV by activating fat-forming enzymes, increasing chlorophyll production and nitrate assimilation. With BioFlora’s zinc formulation, zinc is replenished in the soil as zinc availability often decreases as soil pH increases. Zinc can help alfalfa form starch and proper root development and also enables alfalfa to withstand low air temperatures. BioFlora’s proprietary blend also contains a beneficial amount of iron, which is made more accessible through the blends’ positive effect on soil drainage. The boron present in BioFlora’s Alfalfa Blend helps keep borate in the soil solution to maintain alfalfa’s structural integrity. BioFlora’s signature Alfalfa Blend includes all of the necessary elements for alfalfa production, and can be tailored to each of our clients and their specific needs. 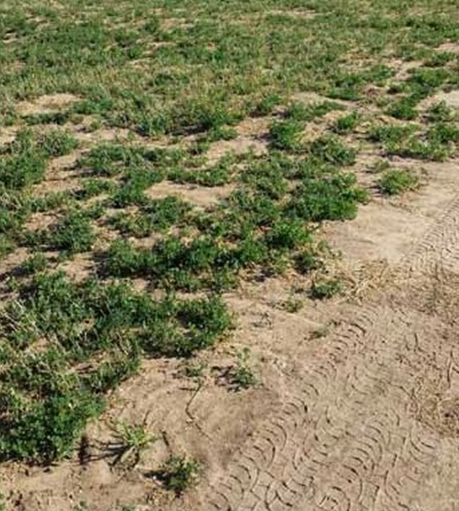 This trial was located in Western Arizona, where an untreated crop was tested against two treated plots, which received 3 gallons an acre per cutting of Alfalfa Blend. The first two tables are analyses that were run to test the quality of the alfalfa and the levels of micronutrients found in the tissue. The final chart is a comparison of the tissue analyses before and after each trial treatments. 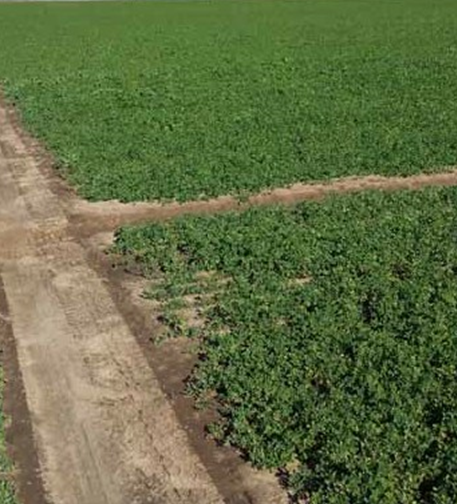 This second case study was conducted in conjunction with the previous trial and was located in Central Arizona, where two treated plots each received 3 gallons of Alfalfa Blend an acre per cutting. The first table is the analyses that were run to test the quality of the alfalfa on both plots. The second table compares the levels of micronutrients found in the tissue of both treated crops. No control was tested to show a comparison, but these results show the consistency of BioFlora’s products. Averaging the first and second case study, the BioFlora treated plots achieved approx. 1.8 tons per acre, per cutting. Control plots produced an average of 1.2 tons per acre, per cutting. This results in an average 1,200 pound per acre increase per cutting in the BioFlora treated plots. The BioFlora treated areas also realized atotal of 10 cuttings per yearversus 8 cuttings per year for the Control. For a third trial located in Central Arizona, Alfalfa Blend was applied to a 120 acre pivot plot at 3 gallons per acre at planting. The trial utilized first year alfalfa for both treated and untreated plots. 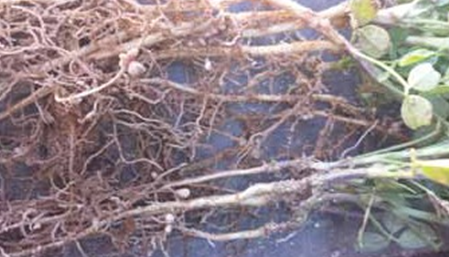 Nodulated roots indicate active Rhizobia & BNF. From the positive results collected from using BioFlora in this trial, BioFlora was featured on the growers’ website to promote their agricultural successes and services. Additional trial methods, analysis reports, yield data, and results relating to RFV, TDN and micronutrient levels are available on their website. Visit www.desertridgefarms.us to learn more.